Regardless of the Industry, proxy servers have become an essential tool for the modern company. The ability to replace a computer’s IP address with another is a basic but powerful tool. It can let employees move across the Internet undetected by others. It can also balance web traffic to a company’s site across multiple servers. It can even let a marketing department supervisor control employee internet usage. However, many proxy servers are very expensive. Any office manager knows, the importance of getting a lot of service for a small fee, and a proxy server is no exception. There are affordable options out there if you know what you’re looking for. Here are a few tips that will help make sure you find a cheap proxy for business. In the quest for a cheap proxy server, you’ll quickly find a large selection of free options. Beware of these. 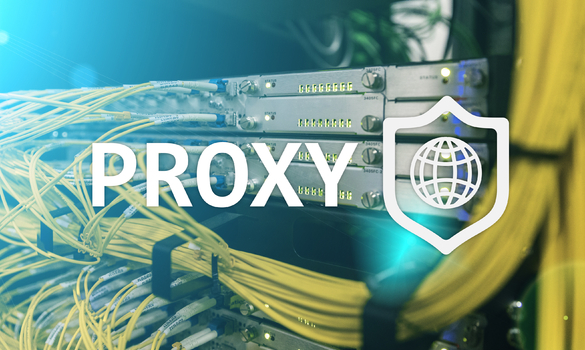 While cheap proxies are often practical, you will pay a high price for a free proxy. Free proxies have surged as the product’s gained popularity. However, most of these proxies cut corners in security. Many will sell your idle bandwidth to the highest bidder. This will not only limit your bandwidth, that spare bandwidth might be used for adware or even be sold to someone to use in criminal activities. This also doesn’t include the free proxies that are just malware in disguise. When push comes to shove, you’ll be safer staying far away from these free proxies. With cheaper services, it’s important to confirm that they are routinely changing their proxy servers. This means the company is regularly changing their proxy’s IP addresses. This is particularly important if your company wants to do things anonymously online. A proxy IP can give you away as easily as your own if they never change it. This rotation is an easy way for cheaper proxies to cut corners. Make sure they are rotating proxy address at least every month. It’s a common misconception that proxies slow down your computer. In fact, they can speed up your network and afford you more bandwidth with some business testing. They can do this through file caching. Caching files is when you use multiple computer servers linked by the proxy to compress internet traffic. Like when it balances server traffic, here the proxy exploits the fact it can combine the efforts of multiple machines in one place. This is a really useful thing that proxies can include. Once again, a cheap proxy might try to save effort by not including this. Consider if it would help you and check to see if a proxy includes it. With so many options for proxies out there it really is a buyers’ market. As a result, make sure to negotiate when picking a proxy. Read the terms and conditions closely and it has the features you want. In particular if you are a large or well-known company, you’re likely to get a beneficial deal from a proxy looking for big clients to set itself above the pack. Most people think proxies and virtual private networks, or VPNs, are the same thing. They are not and don’t make the mistake that they are. A VPN is the next step above a proxy. Not only does it give you a different IP address, it also encrypts your end of the connection. This offers more safety and anonymity when looking at your IBM business analytics. However, it also limits bandwidth and is usually far more expensive. If you’re looking for the cheaper option keep away from VPN. You’ll pay a lot more for things you don’t need. The variety in the market can make picking a proxy seem daunting. However, like many business decisions it is straight forward when you know what to look at. Make sure the proxy can file cache and keeps its IP’s fresh. Remember too, that while cheap is good, free proxies can be dangerous. Finally make sure you negotiate for what’s important and avoid things that aren’t like VPNs. A proxy can open so many doors for your company, and it can do it on the cheap.